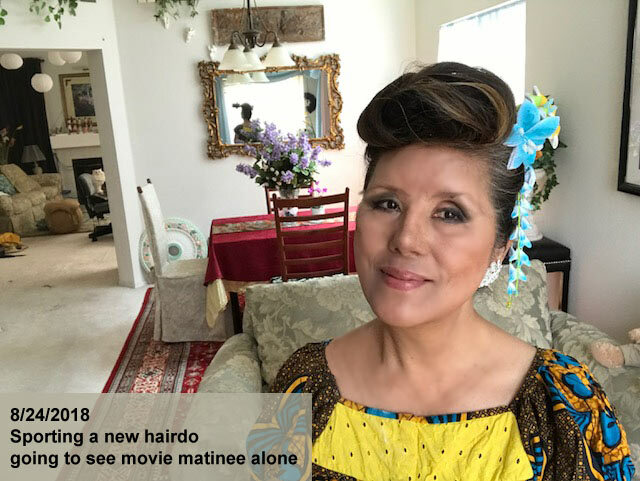 8/24/18: Sporting a new hairdo. My Welsh ex-husband once told me I look old with an updo hairstyle. It stacked in my head.